A magnificent piece of late Victorian soft furnishings. 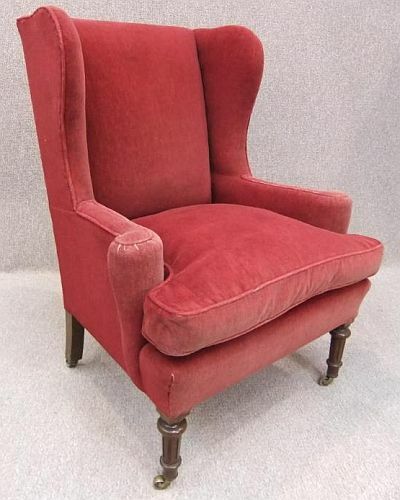 A superb quality, mahogany legged antique winged armchair with its winged design and scrolled arms, in a red velvet material. The item is in lovely condition with no loose joints and all springs and padding in good order. There are some marks on the material from everyday use, but no stains. DELIVERY - £55.00 to England & Wales. For deliveries outside of this area, please contact us for a quote.